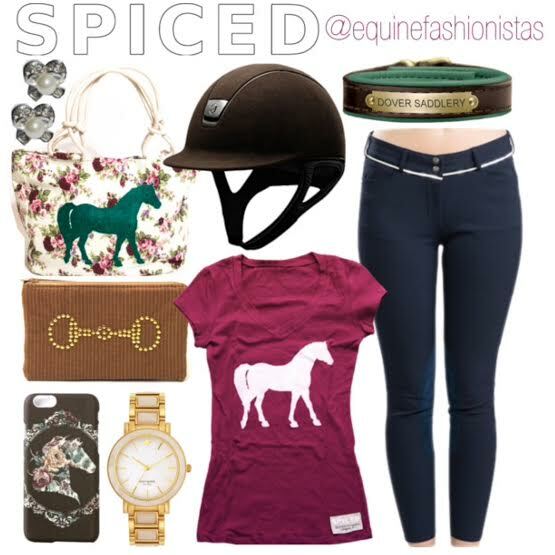 I am so in love with the Spiced Eq products! Their whole company’s theme is so trendy and fresh. I haven’t bought anything from the company, yet… but I am loving the phone cases, so maybe soon? There are purses, shirts, phone cases, and so many other great accessories. Also, the prices are reasonable! (note: their products are in Canadian Dollars). Hope you enjoy this set! 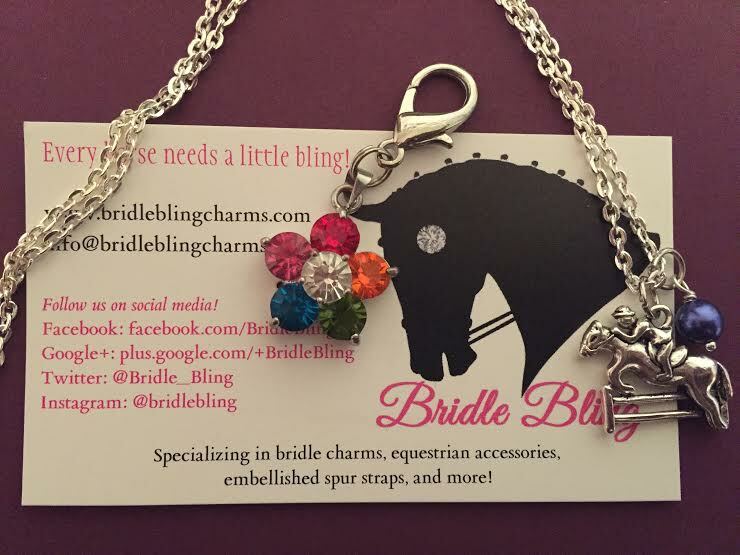 I have started growing a collection of the Bridle Bling charms now & I just love them!!! I have 3 charms, a bracelet, earrings, & a necklace. The Bridle Bling products are durable & chic at the same time! My favorite product I have is the Classic Pearl Bridle Charm. Like the name implies, it is classic, yet fun at the same time. It stands out without being crazy & the pearls always match everything, which is very important (: This item is priced at a very reasonable $14.50. The quality of these products is also very nice! My horse is a jumper & loves to fling his head & it is still there & looking great 6 months later, which is impressive! I show with the charm on too which is fun & it always get compliments! Bridle Bling also has a lot of custom options. There are embellished spur straps with 71 different choices, which I have been eyeing for a very long time now. You can choose meaningful charms for your bridle, such as ‘Believe’ and ‘Dream’, or you can opt for the initial charm which is gorgeous too. Yay! This is officially my first post for equinefashionistas.com! I’m so excited to share with you all my love of Equestrian Fashion. You may know me by my Instagram @equinefashionistas, & if not, you should check it out! 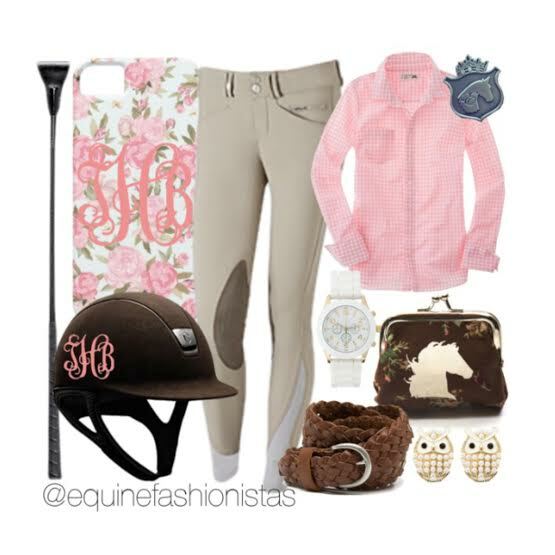 It’s packed with hundreds of Equestrian sets created on Polyvore. I started my Instagram at the end of 2012 & have since grown to 9.1K!!! We also have accumulated an amazing group of sponsors. Our current sponsors are Bridle Bling, Noble Outfitters, Apple Lane Equine, Ecolicious Equestrian, Equestrianista, & EquestriLifestyle Boutique. With amazing help from these great companies, EqFash has been making itself more well-know throughout the Equestrian World. My name is Ashlyn & besides horses, I am wild about Coffee Bean, succulents, & hosting dinner parties! I started all of this because of my addiction to the horse world & the equestrian fashion industry. I am a 17-year-old senior in high school from SoCal. My goals for college are to major in business & minor in fashion so I can one day open up my own pop-up boutique! I have been riding for 8 years now & do Jumpers with my horse, Cadence. Thanks for viewing my first post (yay!) and hopefully, there will be many more to come!! !